Scotch: Is this the last year whisky beats gin? VISITS to Scotch whisky distilleries reached a record high in 2017, but sales of the national spirit in Scotland’s bars and pubs actually fell in the past year. CGA’s data shows that on-trade sales of Scotch whisky fell by around £5 million between 2017 and 2018, to a value of £107.6m. With gin sales sitting at just over £97m (and having grown by £20m in the past year), it seems the predictions of gin overtaking Scotch within the next few years could be right on the money. Regardless, Scotch is, and will likely remain, one of the most important spirits categories in the Scottish on-trade. The Famous Grouse remains a powerhouse for Scottish pubs as the biggest Scotch whisky brand in Scotland by value. Master blender Kirsteen Campbell has been busy in the past year, having created a new range for Grouse called the Cask Series. The new series of ‘everyday premium’ whiskies currently has two expressions – Bourbon Cask and Ruby Cask – with more to follow. Whyte & Mackay, in second place, has shown its humorous side in the past year with sponsorships of the Glasgow Comedy Festival and Underbelly at the Edinburgh Fringe. And Johnnie Walker is encouraging people to enjoy good whisky and good company in the latest phase of its Keep Walking campaign. Fellow Diageo brand Bell’s remains in fourth place, while Glenmorangie is once again the only single malt to appear in the top five Scotch whisky brands. In the past year ground has been broken on a new still house for the LVMH-owned distillery, which will allow the facility to increase production. Distell-owned Black Bottle retains its position as the sixth best-selling Scotch whisky, but then it’s all change in the rest of the top ten. William Grant & Sons-owned single malt, The Balvenie, has climbed several places to enter the top ten as the seventh-biggest Scotch brand, with Edrington-Beam Suntory’s Highland Park falling a place to number eight. 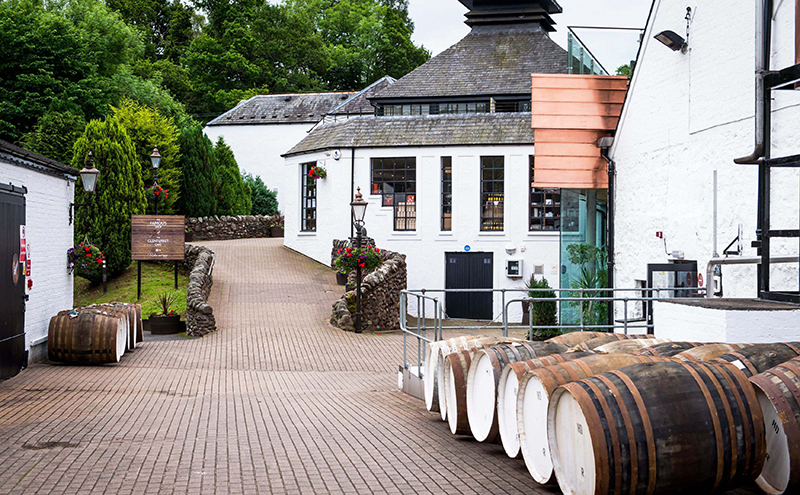 Diageo-owned single malt Talisker falls a position to ninth place, with another Edrington-Beam Suntory malt, the Islay peat monster Laphroaig, climbing several places to round out the top ten.